South Korea and Japan are adding to recent international punishment against North Korea for its nuclear testing programs. Japanese and South Korean officials announced the sanctions Friday. They are in response to North Korea's threat to strike back against new United Nations sanctions announced earlier. 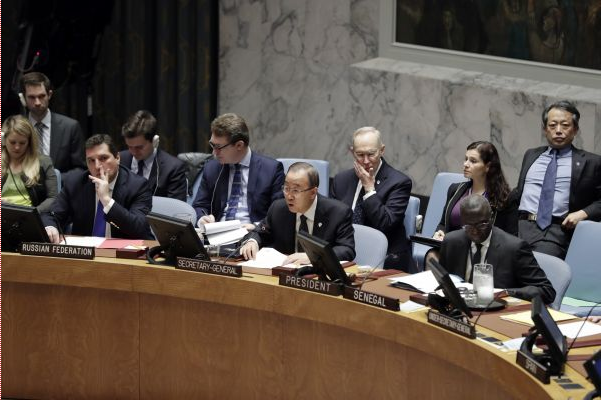 The United Nations announced new sanctions against North Korea on Wednesday. The punishments came in response to North Korea's test of a nuclear device on September 9. China, North Korea's main trading partner, and Russia agreed to the U.N. action. North Korea's vice foreign minister Han Song Ryol spoke to foreign diplomats in the nation's capital, Pyongyang. He said the new U.N. sanctions are "an abuse of power" and violate his country's "right to self-defense," according to the Associated Press. Earlier, North Korea warned it will respond to the UN sanctions. It did not say what the response would be. The sanctions announced Friday by Japan and Korea are mostly symbolic. Trade between the two nations and North Korea is largely non-existent because of sanctions already in place. South Korea's new sanctions ban North Korea from engaging in financial dealings with top aides to North Korean leader Kim Jong Un. Japanese officials said Friday they will bar ships that have traveled to North Korea from using Japanese ports. Japan said it will also freeze holdings of groups and individuals connected to North Korea's nuclear and missile programs. On Wednesday, the United Nations Security Council approved new sanctions without any opposition.The sanctions largely target North Korea's coal exports. Coal is the country's largest source of income. United States State Department spokesman Mark Toner said the new sanctions will cut North Korea's coal exports by more than 60 percent. "None of these sanctions are directed and nor do we seek to punish the people of North Korea who indeed are long-suffering under the current regime," Toner said. He added that the sanctions target North Korea's ruling class who he said are responsible for North Korea's bad behavior. The House voted to impose a one-year moratorium on nuclear testing. He was free from all sycophancy or obsequiousness in the face of the reactionary ruling class. 1.They are in response to North Korea's threat to strike back against new United Nations sanctions announced earlier. Tom at last found a chance to strike back at those who had found fault with his latest book. 2.North Korea's vice foreign minister Han Song Ryol spoke to foreign diplomats in the nation's capital, Pyongyang. I visited Japan in 1987 at the invitation of the Foreign Minister.